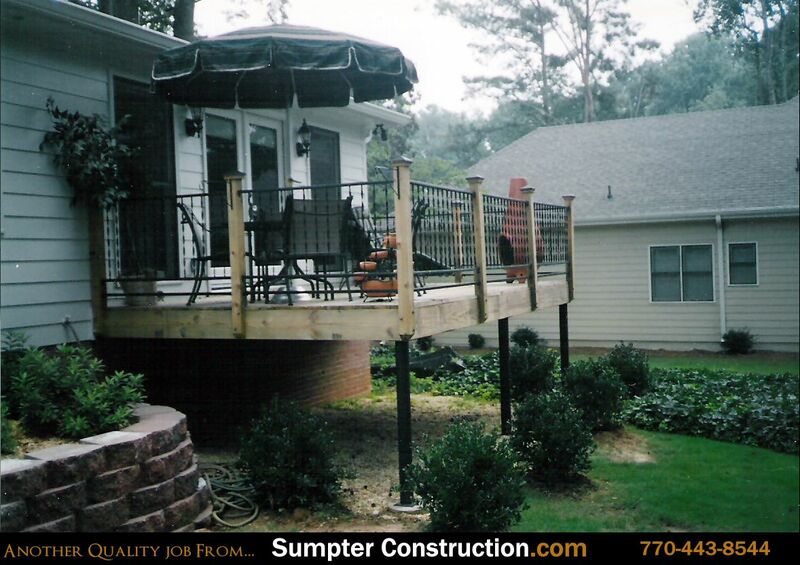 nhance the comfort and convenience of your backyard entertaining with a deck from Sumpter Construction. 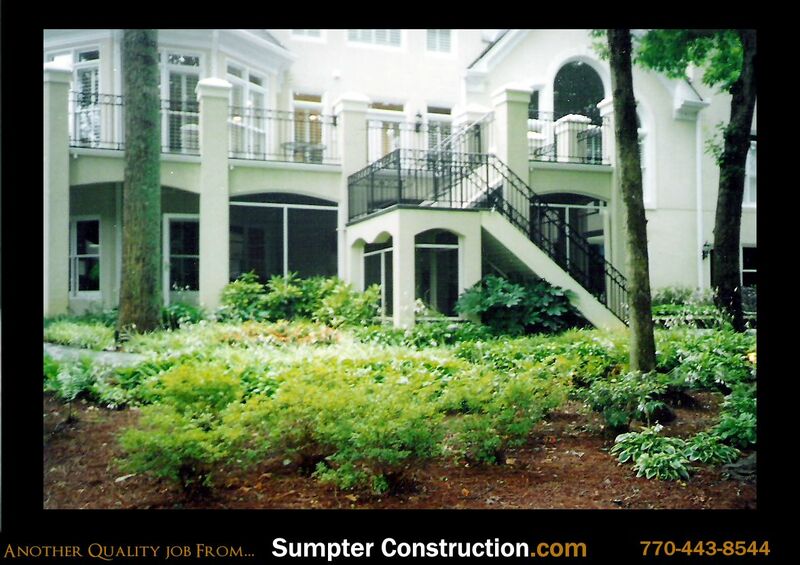 A properly designed and well-appointed outdoor living space can become quite a comfortable spot to enjoy the cooler months, and create a focal point outdoors where the family can enjoy quality time together. 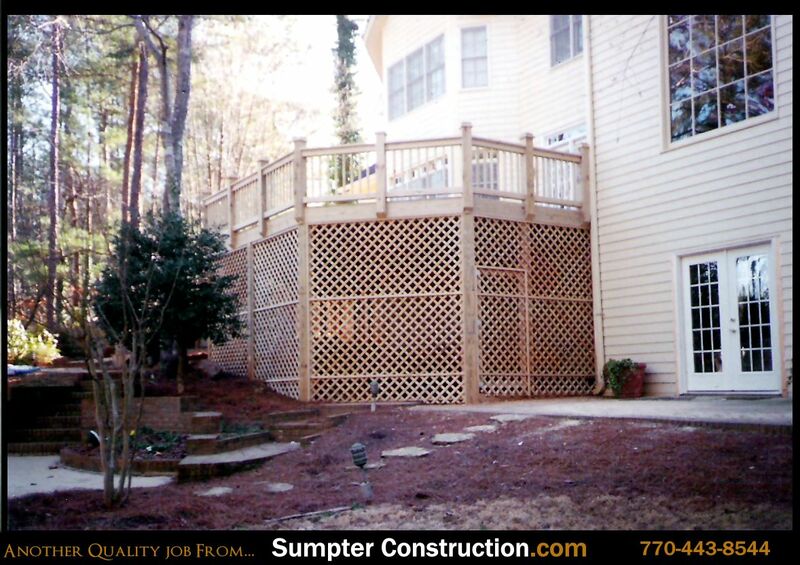 Adding stylish and durable products will enhances the comfort and convenience of your backyard. 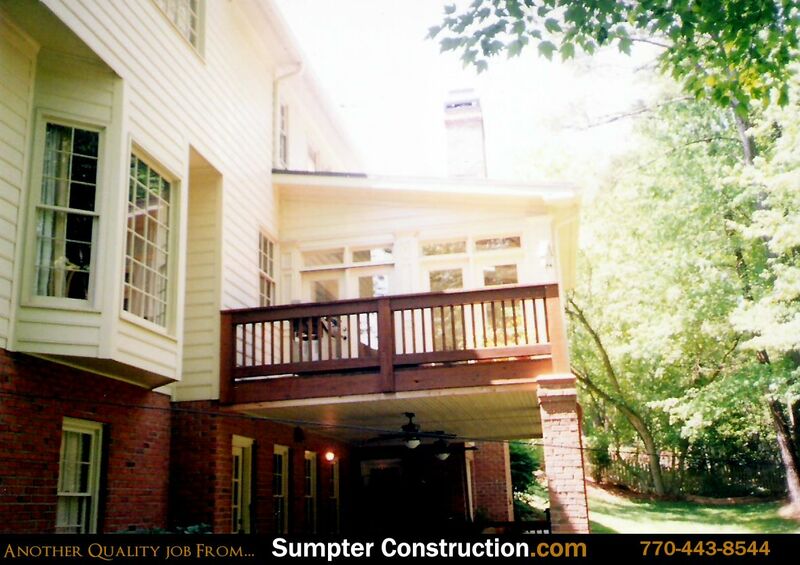 The end result is a space that not only meets your needs, but lifts your spirits. 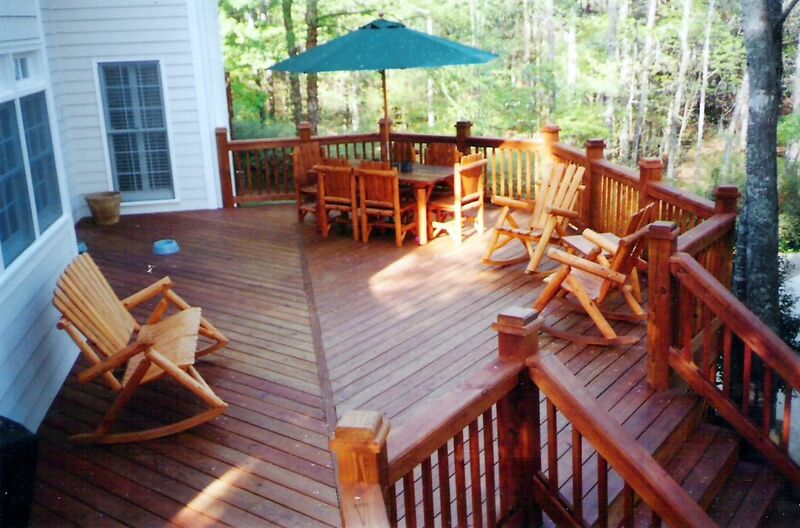 Installing a deck may be the most cost-efficient way to add space to your house. 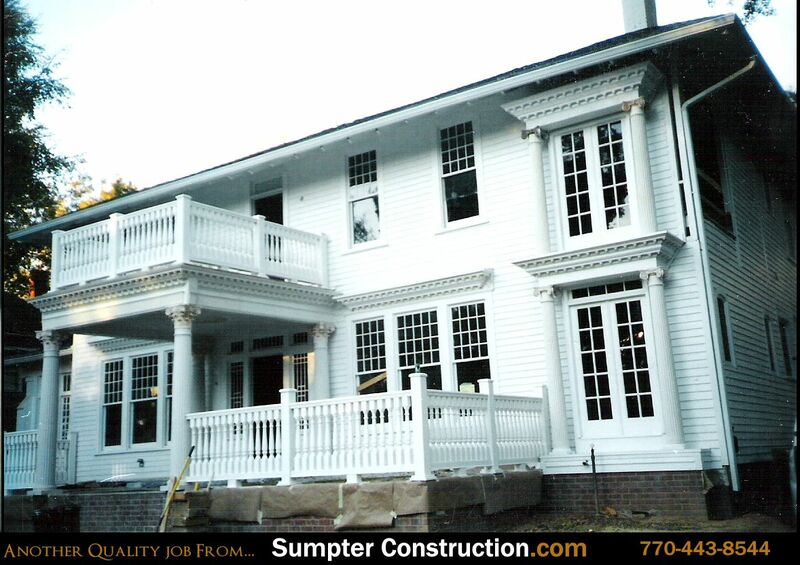 Aside from painting, the addition of a deck is one of the most reliable exterior value improvement to a house. 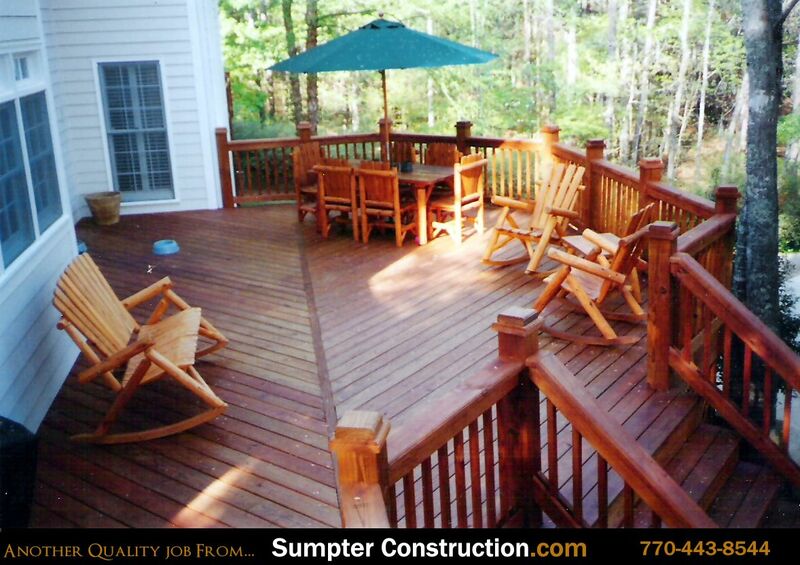 A mid range deck addition increases a homes value by 90.3% for every dollar invested.